World Archeology: Shamanic figurine guarding shaft tomb discovered in Colima. 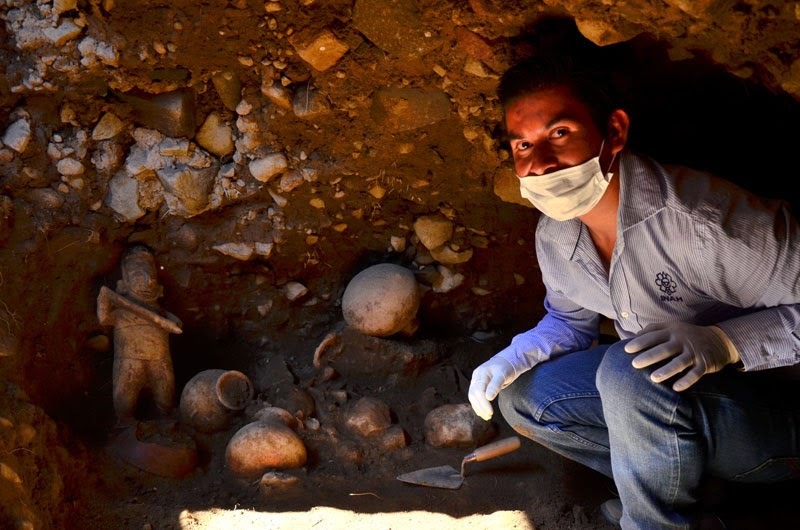 Shamanic figurine guarding shaft tomb discovered in Colima. 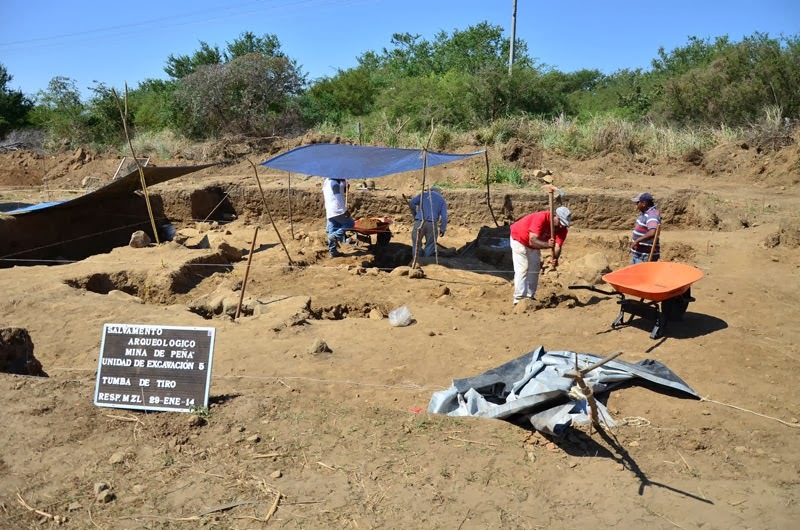 A shaft tomb containing skeletal remains along with a rich assemblage of grave goods, has been discovered in a later cemetery in the state of Colima, Mexico by researchers at the National Institute of Anthropology and History (INAH). Archaeologist Marco Zavaleta Lucido explained, shaft tombs such as this are targeted by looters because of the beauty of the materials deposited within them. The excavators have produced a detailed record of this burial area which unusually, was found intact. The sculpture of a long faced shaman holding a blowpipe is the guardian of the shaft tomb sealed up more than 1500 years ago. In April 2013 archaeologists uncovered and began excavating a cemetery that contained the remains of 35 adults, of both male and females, as well as three infants, all within stone cists dating to what is called the Colima phase, AD400 to 600. Near these burials Marco Zavaleta located a sealed vertical shaft of 1.50 metres square, which represented the entrance to the tomb, dating to a slightly earlier date (AD0-500). Within this probably family tomb chamber they found the skeletal remains of one or two individuals placed deliberately on top of another older internment. Once the archaeologists had excavated to floor level, they found another individual lying on its back.